The issue of homelessness, too often buried just below the surface, has rose to public consciousness again, with authorities in Moncton tearing down a tent city last week, leaving those who live there just as homeless, but now without even a tent. 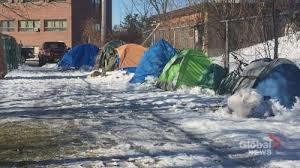 In Fredericton, a tent city just outside the Victoria Health Centre seems to be growing, despite temperatures plummeting to January-like wind chill levels and now, a snow storm. 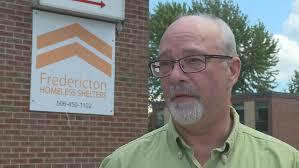 The issue of homelessness, from all intents and purposes seems to be getting worse, an assessment confirmed by those working on the front lines of the issue, including Warren Maddox, Executive Director of the Fredericton Homeless Shelters. In an interview on CBC’s Information Morning in Fredericton just yesterday, he talked about the challenges and pointed a finger at Adult Protection, a branch of the Department of Social Services that he feels is dropping the ball when it comes to the vulnerable people who are living rough on the streets. 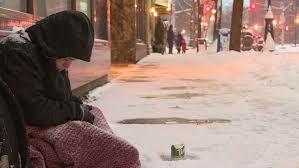 During the election campaign, homelessness didn’t command much attention, overshadowed by so many other issues. And while we know Premier Blaine Higgs is committed to getting our financial house in order, and improving government efficiency, not a lot is known about how committed he is to social issues, including homelessness. So the current crisis, and it is a crisis, will be a test of his government’s priorities, and those of Dorothy Shephard, whom he appointed Minister of Social Development. Asked on CBC what she should do, Maddox said she should go to the shelter for a coffee, so she can learn about how frustrating it is to deal with Adult Protection branch, and from that, hopefully do something to fix it. That sounds like a good start to me. Which brings us back to the Department of Social Development and specifically the Adult Protection Branch. If they are indeed dropping the ball as Warren Maddox contents, and he is certainly in a position to know, the first order of business for the new government should be to address it. In the bigger picture, Housing First is by far the most effective strategy to deal with homelessness. And while Fredericton is ahead of the curve in implementing this strategy, the lack of progress on Fredericton City Council’s part continues to be a disappointment on this front, but that is an issue for another day. There is hope that the initiative will get a solid boost in spring when the first of the funds from the National Housing Strategy rolls out, in Fredericton and other cities across the province, so that’s something to be optimistic about. But while that is encouraging, it does nothing for those among our population who are battling demons that might not allow them to make it to spring. They need help now, in the form of forced intervention by officials from Adult Protection. It is a challenge governments so far have not adequately met. Caring people will be watching to see what the new Higgs government will do.